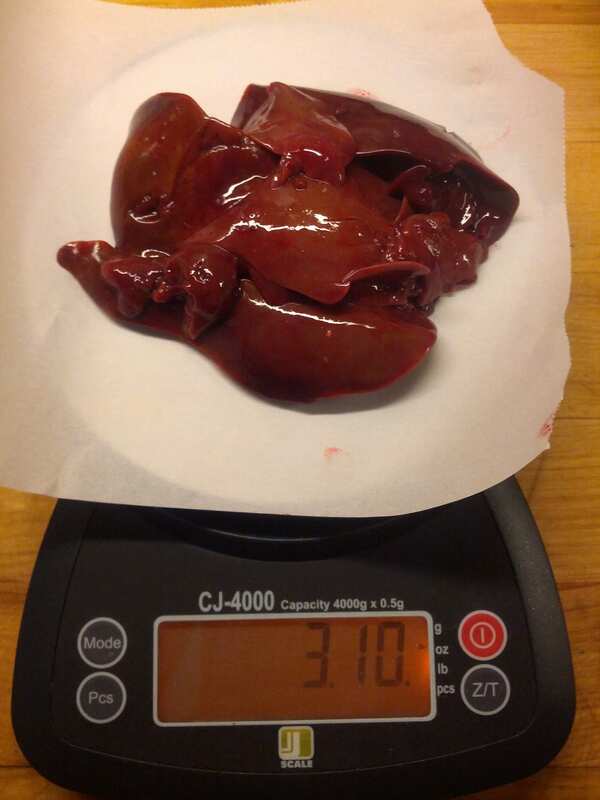 Next time you harvest a duck or goose, consider saving the liver for pâté, especially if it is a nice, fat bird– think foie gras! 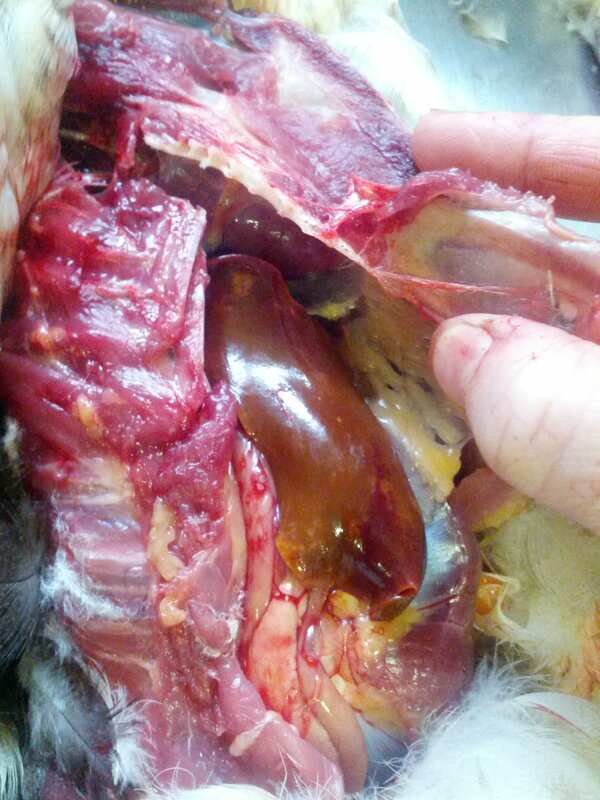 If you generally only breast a bird, you can still get the liver out without making much of a mess. Once you have removed the breast and legs, as shown to the left, rotate the bird slightly to the right. Find the spot parallel to the breast bone where the ribs are thin and pull the ribs open with your thumbs, exposing the liver. 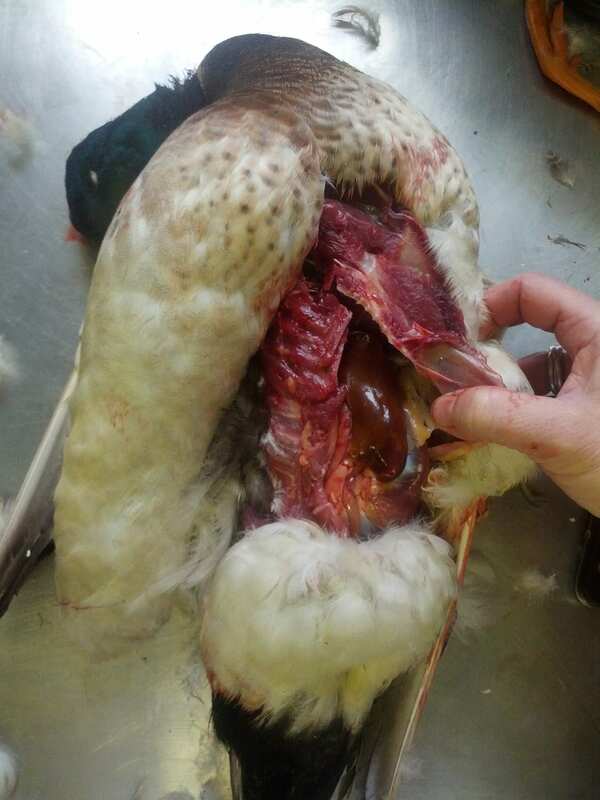 Carefully remove the liver being sure not to cut or pierce the dark green gallbladder. 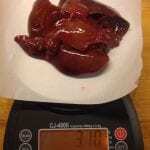 Soak livers in milk for half hour or more. Place duck fat in a skillet, and cook over medium to high heat for 4 to 5 minutes, until the fat has melted and some of it has browned. If you do not have duck fat, you can melt butter or lard instead. Add the shallots, and cook for about 30 seconds, stirring occasionally. Add the liver, herbes de Provence, and garlic, and cook over medium to high heat for about 2 minutes, stirring occasionally. Add the salt and pepper. Transfer the mixture to a blender, add the Cognac and cream, and blend until liquefied. Or you can use a handheld immersion blender. If a finer textured pâté is desired, push the mixture through the holes of a strainer with a spoon. Let cool for at least 1 1/2 hours, allowing the flavors to meld, then cover and refrigerate until serving time. Taste and adjust the seasoning to your liking. Spread the pâté on the toasted baguette slices, and serve. The pâté will keep, well covered in the refrigerator, for 3 to 4 days.